Dozens of elderly and frail South Koreans gathered excitedly Sunday on the eve of their first meeting for nearly seven decades with family members in North Korea. The three-day reunion -- the first for three years -- begins Monday at the Mount Kumgang resort in North Korea, following a rapid diplomatic thaw on the peninsula. Millions of people were swept apart by the 1950-53 Korean War, which divided brothers and sisters, parents and children and husband and wives and perpetuated the division of the peninsula. Among them was Lee Keum-seom, now a tiny and frail 92. She was waiting to see her son for the first time since she left him behind in the turmoil of war. She lost her husband and four-year-old son as their family fled, and boarded a ferry headed for the South with only her infant daughter -- who was accompanying her to the reunion. The son is now 71 and Lee has been told that he will bring his daughter-in-law to the meeting. "I don't know what I'm feeling, whether it's good or bad," Lee told AFP. "I don't know if this is real or a dream." She raised seven children after remarrying in South Korea but always worried about the son she left in the North. Now there are many questions to ask. "Where he lived, who he lived with and who raised him -- because he was only four," she said. Because the conflict ended with an armistice rather than a peace treaty, the two Koreas have remained technically at war. All civilian exchanges -- even mundane family news -- are banned. Since 2000 the two nations have held 20 rounds of reunions but time is running out for many ageing family members. More than 130,000 Southerners have signed up for a reunion since the events began but most of them have since died. Most of those still waiting are over 80 and the oldest participant this year is 101. With a few people dropping out at the last minute for health reasons, 89 elderly South Koreans -- accompanied by relatives -- gathered in Sokcho city on South Korea's northeast coast to spend the night before heading to the heavily-fortified border that has taken them decades to cross. On the eve of the reunion, the hallways of the resort where the families are staying were silent, interrupted only by the knocking of doctors conducting last minute health check-ups of the frail attendees. Many, tired from the day's journey to Sokcho and the anticipation over their reunion with their loved ones for the first time in decades, have taken to bed early. Lee Keum-seom is one of the few parents reuniting with a child. Some of those selected for this year's reunions gave up after learning that their parents or siblings had died and that they could only meet more distant relatives whom they had never seen before. But Lee Kwan-joo, 93, said he would meet his nephew and niece to get a sense of the life that his parents and six siblings had led in the North before they died. Lee in 1945 went to school in Seoul, away from his family in Pyongyang, and the war made the separation permanent. "I was delighted to hear about my nephew and niece, even though I don't even know their faces," Lee said. "I just want to ask them how my brothers, sisters and parents passed away." All his life, Jung Han-cheol worried that his older brother was shot dead trying to escape from the North Korean army after he was dragged to the battle field in 1951. 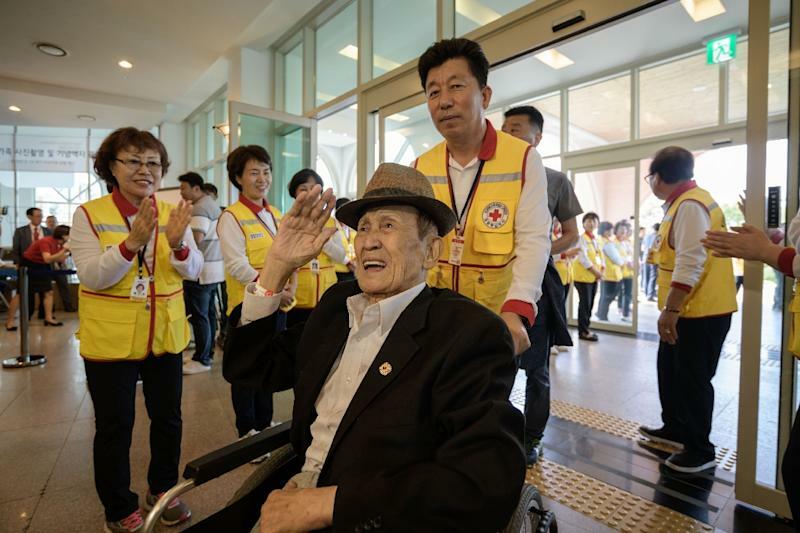 The 84-year-old recalled helping his brother, Han Sik, hide in a closet from the North's forces -- a badly failed attempt that divided the brothers for life. "I had a lot of horrible thoughts," Jung told AFP. "But now I know that he led a life in North Korea, that he had children." Thinking that his brother might come home, Jung has lived in the same house for decades and left Han Sik on their family registry. He laments that his turn to attend the reunions came a little too late but added he had a chance to connect with Han Sik through his children, whom he has never met. "I won't recognise them," he said. "Because I can't recognise them, I won't accept them without pictures." 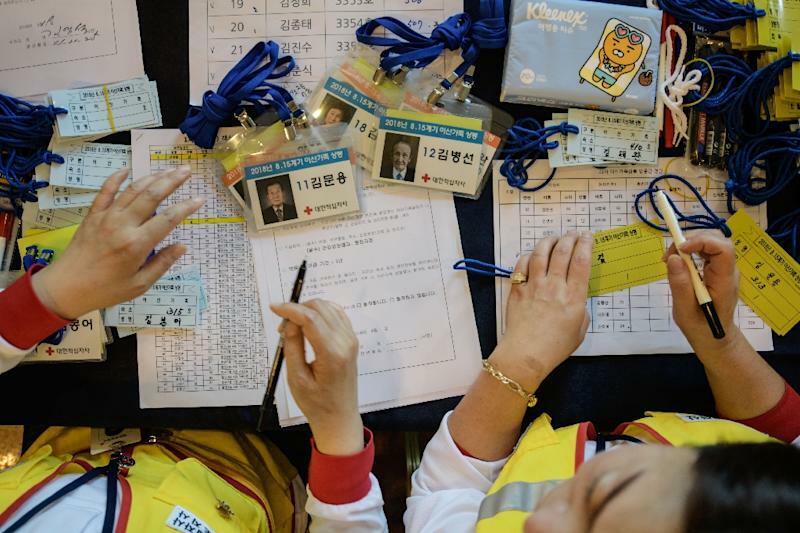 Over the next three days, the participants will spend only about 11 hours -- mostly under the watchful eyes of North Korean agents -- with their relatives in the North. And on Wednesday the families will be separated once again -- in all likelihood for a final time. Families at previous reunions have often found it a bitter-sweet experience. Some complained about the short time they were allowed to spend together. Others lamented the ideological gap between them after decades spent apart.